By BIZARRO WORCESTER	BLATANT PROPAGANDA, GLORIOUS RETSECROW, THE FUTURE OF WORCESTER... TODAY!!!!! PROGRAMMING NOTE: TWO-MONTH HIATUS… PLUS TURNOUT TALK!!!!! IT AM WITH THE GREATEST SADNESS WE CAN MUSTER IN BIZARRO WORCESTER THAT WE MUST RELEASE YOU CITIZENS FROM OUR IRON-FISTED CLUTCHES UNTIL SEPTEMBER. 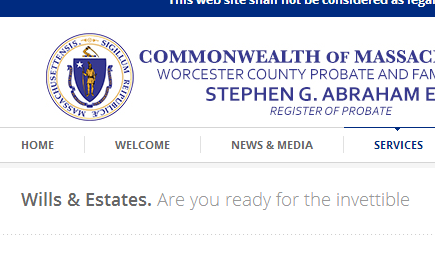 BUT BEFORE WE DEPART, WE HAVE ONE FINAL COMMENT ON THE UPCOMING 2015 WORCESTER ELECTIONS. THE SUMMER AM FAST APPROACHING ITS HEAT-DEATH. IN ONE MONTH ON SEPTEMBER 8TH, A CROWD OF 16 AT-LARGE COMBATANTS SHALL BE REDUCED TO 12, WHILE THE UNRULY CROWD OF 4 GLADIATORS FROM DISTRICT 2 SHALL BE SLASHED IN HALF. REALITY SHOWS CAN ONLY DREAM OF BEING SO EFFICIENT!!!!! WE HAVE HAD TALKS ABOUT RACE, POLICE, EDUCATION AND EVEN THE INTERNETS!!! WE EVEN HAVE A CONTROVERSY WITH POTENTIAL TO DRIVE PEOPLE ON BOTH SIDES TO THE POLL BOOTHS!!!!!!! WE ONLY RARELY SEE LOCAL POLITICS THIS HEATED. WE HAVE HAD AN UNPRECEDENTED NUMBER OF PROTESTERS AND POLITICIANS AND JOURNALISTS AND PUNDITS AND BLOGGERS AND TWEETERS TAKE A STAND OF SOME KIND ON SO MANY ISSUES AFFECTING WORCESTER, BOTH FROM WITHOUT AND WITHIN. IT WOULD BE A TRAVESTY INDEED IF THE SUM TOTAL OF SO MANY PEOPLE’S LABOR… SHOULD BE SINGLE-DIGIT TURNOUT, AS WE FEAR. THEREFORE, WE SHALL INDEED BE PAYING CLOSE ATTENTION TO THIS ELECTION. IN OCTOBER, WE SHALL POST OUR OFFICIAL BIZARRO PICKS TO AID THOSE WHO FIND NARROWING TWO COMPETITIVE FIELDS DOWN TO 6 CANDIDATES TOUGHER THAN CHOOSING MUNCHKINS FOR A STAFF MEETING. WE WOULD DO THE SAME FOR THE 16 AT-LARGE CANDIDATES NOW, BUT THIS PRELIMINARY ELECTION AM MORE ABOUT CAMPAIGN OUTREACH THAN LEGISLATIVE PROWESS. WE DO NOT EXPECT THE TOP 12 TO BE TOO DIFFERENT FROM OUR PREDICTIONS. BARRING RON O’CLAIR MAKING THE CUT, WE CARE LITTLE FOR WHO SHOULD ADVANCE TO NOVEMBER. WHAT WE SHALL BE WATCHING MOST AM THE TURNOUT. PREPARE FOR A MATH LESSON, DUNCES!!!!!!!!!! TURNOUT FOR THE 2013 GENERAL ELECTION WERE A MISERABLE 14.4%, OR APPROXIMATELY 1/7 OF REGISTERED VOTERS. WE HOPE FOR TURNOUT TO IMPROVE, BUT WE FEAR THIS TO BE LESS IMPLAUSIBLE THAN OUR EXISTENCE. IN 2011, THE LAST PRELIMINARY ELECTION YIELDED A TRULY PATHETIC 8.7% TURNOUT, WHILE THE GENERAL ELECTION ROSE TO 19.9%; AN INCREASE OF 228%. FOUR YEARS PRIOR, THE NUMBERS WERE FAR BETTER: 15% TURNOUT FOR THE PRELIMINARY AND 22.3% FOR THE GENERAL; A 149% INCREASE. WHY HAVE WE THROWN OUT THESE NUMBERS OTHER THAN TO PROVE OUR SUPERIORITY IN USING THE WINDOWS CALCULATOR????? IN THE MAYORAL RUNDOWN, WE LINKED AN ARTICLE WHICH PREDICTED TURNOUT WOULD DOUBLE TO 28.8%. TO ENTERTAIN THIS AS A POSSIBILITY, WE NEED TO SEE TURNOUT OF AT LEAST 12.6% AT THE PRELIMINARY. THAT WOULD ACCOUNT FOR THE BEST-CASE TURNOUT INCREASE. WE WOULD NEED 19% TURNOUT TO BE FULLY CONFIDENT IN SUCH A DRAMATIC UPSWING. OF COURSE, LESS THAN 1/3 AM STILL FAR FROM A MANDATE… BUT WE SHALL TAKE ANY STORM IN A PORT. IN THE MEANTIME, WE HAVE A GOLD-PLATED ZEPPELIN TO CONSTRUCT!!! WE SHALL RETURN BRIEFLY AT THE BEGINNING OF SEPTEMBER TO EXHORT YOU TO VOTE, THEN TEND TO OUR FLIGHT PLANS UNTIL OCTOBER WHEN WE RESUME OUR BIZARRO COVERAGE OF WORCESTER’S COUNTDOWN TO THE INVETTIBLE.